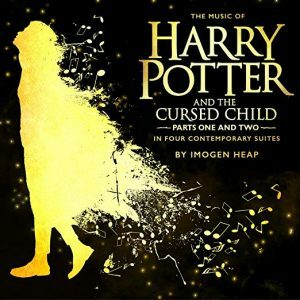 Add The Music of Harry Potter and the Cursed Child in Four Contemporary Suites by Imogen Heap To Your Spotify and/or Apple Music Library Today! Calling All Harry Potter Fans! Click here to add The Music of Harry Potter and the Cursed Child in Four Contemporary Suites by Imogen Heap to your music library the minute it’s released on November 2, 2018!